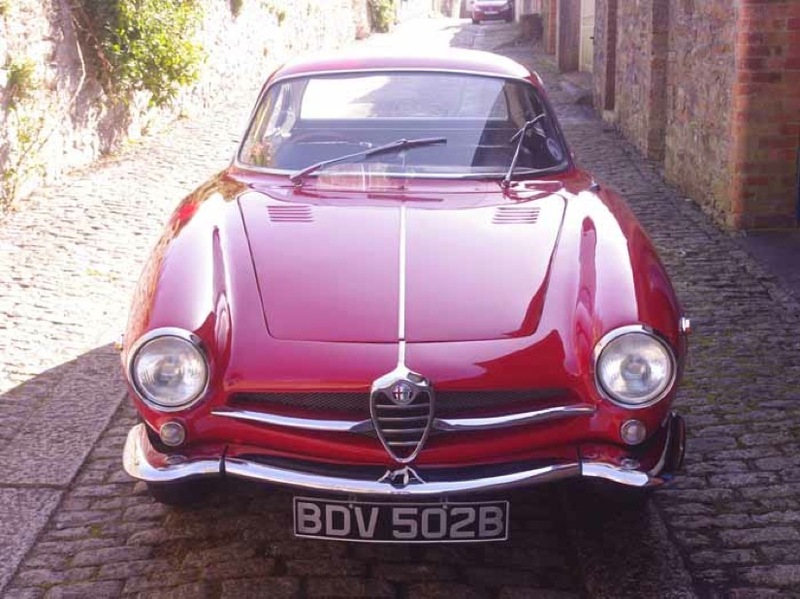 Jonathan Lace has sent us a few photos of his right hand drive Alfa Romeo Giulia SS, sold by Alfa in London in April 1964. He thinks it was a Ruddspeed conversion and would love to know if there any distinguishing features of the conversions? The registration BDV 502B is not first registration. The Chassis number is 10121 380593 and engine number AR0012100935. The car was restored in 1980's and again by Jonathan over past few years. His interior looks very similar to CTL17 owned by Raymond Mays, reviewed in Autosport on July 8th 1966. It has the light dip switch on the right hand side of the steering hub, fly off handbrake and washer pump on dash. When the passenger grab handle was removed from RHD to LHD the vinyl was not replaced, just leaving a fixing hole, was this normal? His car was believed to have raced in New Zealand and South Africa. If anyone can shed any light on this beautiful car it would be greatly appreciated.